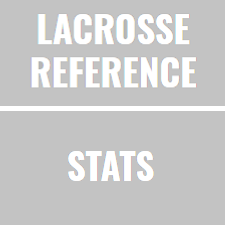 Our player contributions metric totals up the number of players who are attributed with a “play” in each game and then produces an average for each team, both raw and weighted. A play can be a shot, a penalty, a forced turnover, anything that shows up in the play by play. Unfortunately, this does miss things like effective slides, shot backups, and instances where offensive players open up space for teammates. But even with those shortcomings, the player contributions metric helps to analyze whether teams are getting contributions from up and down the bench, or if they are relying heavily on their stars. There are two metrics included here, a raw average and a weighted average. The raw average is simply the average number of players who recorded at least one play in a game. The weighted average accounts for the distribution of share of plays by increasing the value of a play from the end of the bench. This means that teams that get more contributions from the end of the bench will have higher weighted scores. Teams that have a very top heavy distribution will have lower weighted scores. For more detail on the methodology, check out the post we published with the first release of the table.